Richard I. Zuber, principal of Zuber Law P.C. 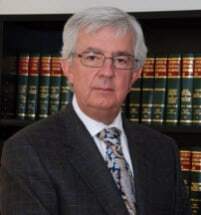 focuses his legal practice exclusively in the area of family law, and has more than 35 years of legal experience. He represents individuals in obtaining divorces, legal separations, and annulments. He has extensive experience in asset identification, asset valuation and negotiating equitable asset distribution. He also assists clients with child custody matters, including negotiating child support, visitation, and parental rights.